Did you know you could go badger watching at Dinefwr near Llandeilo? No nor did I! I always thought that badgers came out at night and that it’d be too dark to photograph them but again that’s not the case. During the summer you can visit a special hide to watch the badgers in action. The keeper takes you to the secret hide and for a couple of hours you hopefully get to see badgers coming out to eat. The wildlife is enticed out by food but even then you’re not guaranteed to see them. However there are plenty of birds, deer and sometimes even a fox that can make the evening interesting. Before the wildlife makes an appearance the guide explains a few things. For example that Badgers have bad eye sight but excellent hearing so any noises causes them to run off. Now if there are 10 photographers in a very cramped space it’s inevitable there may be some noise. Whether it’s from the “machine gunning” the shutters or occasionally moving on a very uncomfortable wooden bench. A massive tip for any would be visitors is if you visit the badger hide then pray that the number of other watchers is a lot less than 10 – and take a cushion! In all seriousness though we were very lucky. Not only was their space available (the diary gets booked up very fast) but the weather was kind. In the days prior to our trip it had been wet and grey, but on our visit the light was good and the sun shined. The badgers also came out to play and it was great to get a number of shots. The one shown here was taken at 400mm. The badger is emerging from the furthest set from the hide. 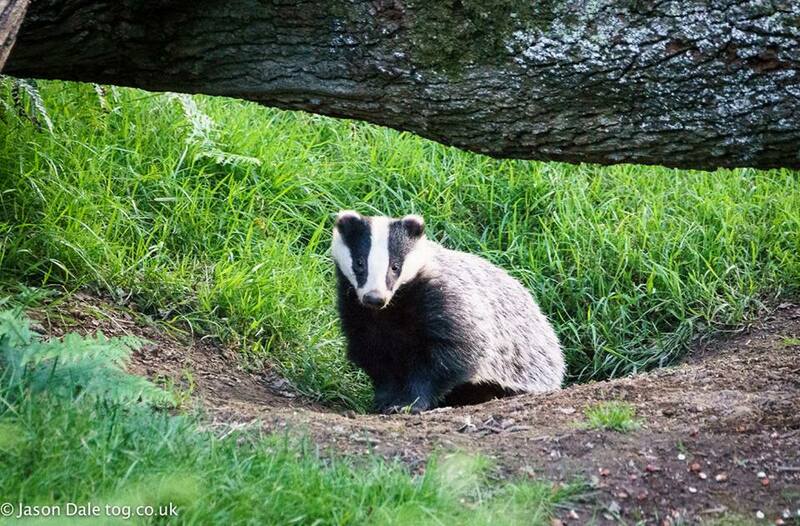 However you don’t need a long lens to shoot the Dinefwr badgers – 200mm is just as good. Some badgers will emerge much nearer the hide and they’re easier to capture but for the best shots don’t sit on the far left! Apparently the badgers will climb up on the strategically placed tree trunks – but as soon as they appear the shutters fire and the badgers head back to their sets. The guide did suggest we stay quiet – which is all well and good – but when you see a badger popping up from behind a tree trunk it’s much too tempting to start photographing it. It was an excellent evening though and fascinating to get so close to the badgers. If you want to visit you may now have to wait until next year. Here you’ll find my photography and blogs about random things that interest me. I live in Llanelli and am the Managing Director of Loquax Ltd, a UK digital media company specialising in online gambling and competitions. Why Do You Photograph Lego?